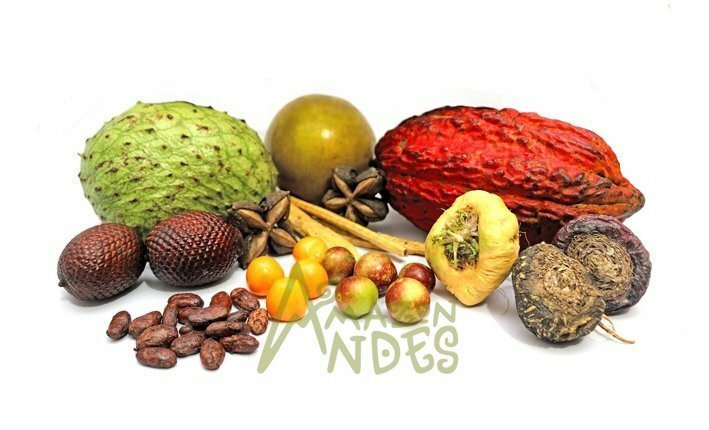 In Amazon Andes, we specialize in the production and commercialization of native Peruvian organic products, we offer super functional foods; such as maca, cacao native, camu camu, Lucuma, mesquite, graviola etc. we research and develop products with the purest and most potent ingredients from within pure, we care about the environmental and social aspect of our products. Maca is a potent, ancient Peruvian super food used by indigenous Andean societies as a source of nourishment and healing for thousands of years. Organic raw Maca powder is a highly nutritious food with a range of physical benefits. Our Raw premium mace powders are made from roots that are dried differently. After harvest these roots are immediately transported to the processing facility where they are dried at low temperatures and then ground into a powder. Organic gelatinized Maca powder is a concentrated from made by extracting the search, which makes the nutrition easier to digest and adsorb. It has a nutty butterscotch flavor. To make natural Gelatinized Maca powder, our farming partner’s hand-select the finest raw Maca roots from the Junín plateau of the Peruvian Andes. The raw Maca roots are gently dried and milled at low temperatures of preserve the complex nutrition of the raw super food. Organic camu camu powder containing higher naturally occurring vitamin c content than any other food, Camu has long been used for its nutritional and medicinal attributes. This fruit grows on a low-growing shrub native to the lush climates along the Black Water River region of the Amazonian rain forest. We offer a complete service line adapted to different customers and requirement in the local and international market.